It runs like clockwork thanks to the new presto Penetrating Oil! Due to its high creeping ability, the powerful special oil penetrates into the finest and narrowest gaps and threads, effectively eliminating friction and squeaking noises. It infiltrates rust and loosens stuck screws, nuts, bolts and other fasteners, etc. 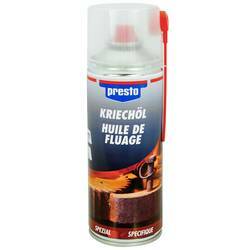 The special recipe with high-quality graphite and MoS2 ensures perfect, lasting lubrication. 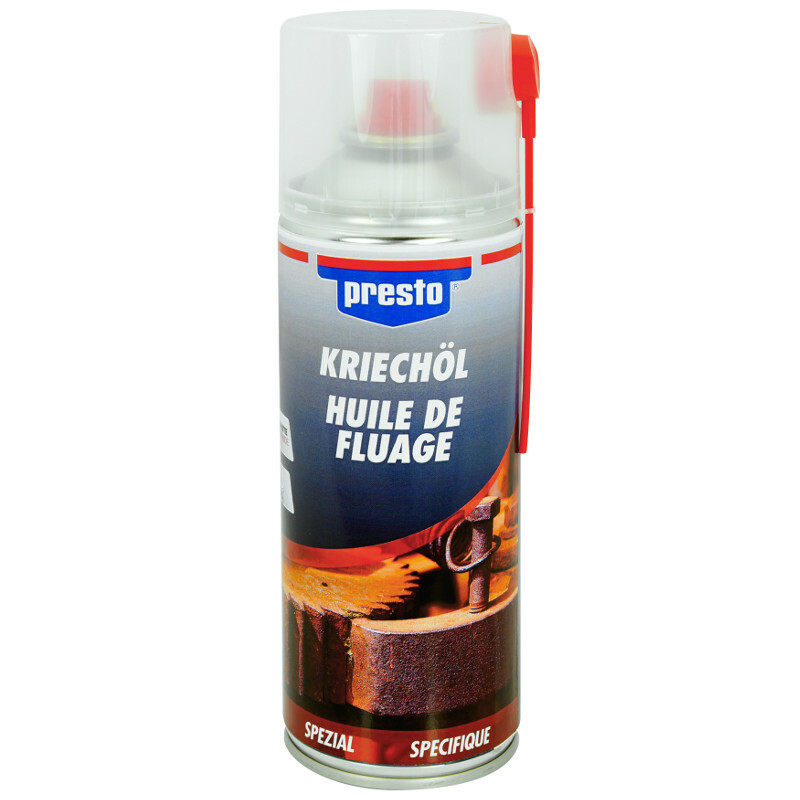 Metal, rubber and many plastics are not attacked by presto Penetrating Oil.